When tips are your livelihood, it’s stressful. Post-its, bar napkins, (very) short-term memory - wherever you keep track of your tips, chances are it’s easily misplaced and a lot more trouble than it’s worth to manage. This lack of awareness combined with the inconsistency of your income from week to week can make it difficult to manage your income and budget your spending. We feel your pain. 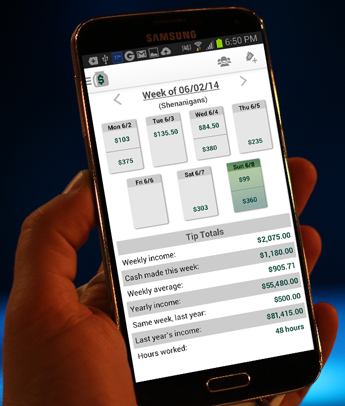 Just the Tips’ mission is to help tipped employees better track their income and improve their financial lives. We promise to never charge for our app or add a bunch of banner ads. 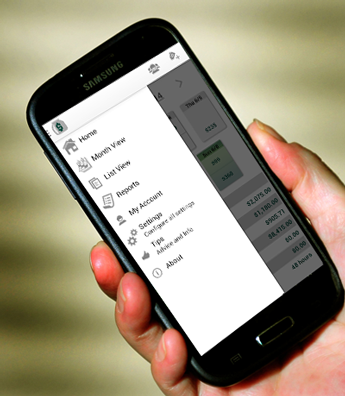 We want to help our users improve their financial health and promote saving. Within the app and in certain reports, we will provide recommendations for products to help you save, from which we may receive a small referral fee to help keep our app free. These partners will be carefully selected, and we promise that the focus will be on encouraging saving, not spending. 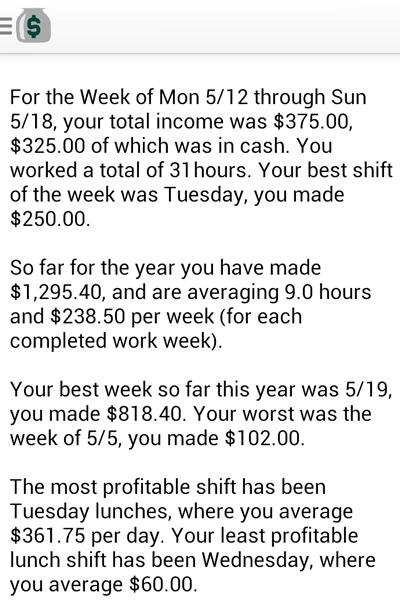 So try the app today, and take control of your financial health. Just the Tips is designed to be as simple and intuitive as possible, with only a couple quick steps between the end of a long shift and knowing what you’ve got to show for it - and a little peace of mind. During setup, you’ll be asked a few questions about your industry, work week, and relevant settings. With this information, Just the Tips tailors the home screen to your work week and remembers your preferences. Simply touch a day tile, add your tips and any other details you might want to record, and press “OK.” You’re done. Your data will be recorded into the app. With cloud sync, you can save your data to our secure cloud, so you can access it from multiple devices, and access our web interface for additional analysis tools and features, like monthly summaries and other reports customizable to your needs. We won’t touch or ask for any personal data, all we track are the numbers. Clean, simple display makes it easy to see the information that you want at a glance. Customize your homepage to follow your job's work week. Monthly calendar provides a more birds eye view of your performance. 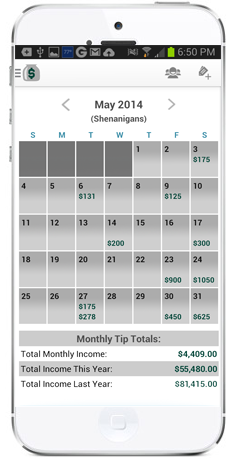 Customizable settings such as tip out, hours, cash/credit, covers and station allow you to track only what you want. Set custom settings for different positions, too! 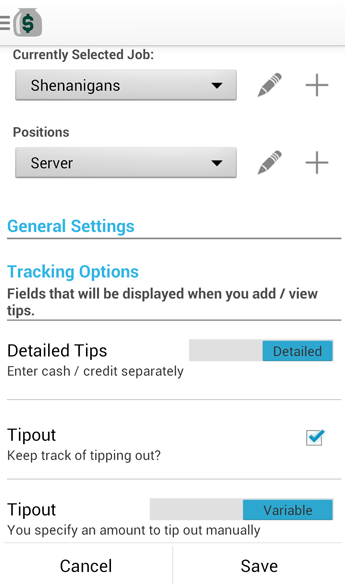 Easily navigate between each area to quickly enter your tips, access your reports, update settings, and more! A weekly report provides a recap of your performance, and displays valuable metrics to help you better analyze your tips.